Discover the world-famous flavors of Tuscany on a 6-day culinary experience in Abrezzo. Stay at a private villa with a pool, where you can make friends with other aspiring chefs and soak up the Mediterranean sun. Learn to cook time-tested recipes for soups, sauces, pastas and desserts under the guidance of a professional chef, and enjoy many freshly prepared meals in the gorgeous setting. Visit a local winery and the charming villages near Abrezzo, and savor regional cuisine at local trattorias. 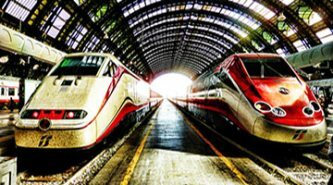 Living like the locals in the village, enjoying fun, hands-on cooking classes, learning to cook delicious Italian cuisine by Guido, an 8th generation roman, having private dinners in a little family-run home restaurant set in a 500 year old wine cellar. You will be cooking in a family kitchen overlooking 40 miles of uninterrupted views over the greenest region of Italy, enjoying lunch sitting on the terrace with a glass (or more) of wonderful local wine while engaging in interesting conversation about Italy and its food: all this will be an experience you will never forget. 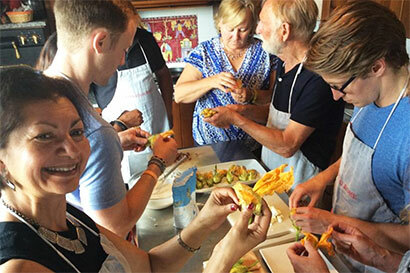 Your Italian 4-day cooking holidays near Rome have been designed to share our love for Italian cuisine, in a relaxed and enjoyable environment. 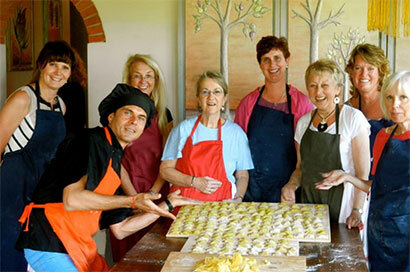 Set in the Sabine hills, one of the most unspoilt areas of Italy, our cookery courses are easy to follow, creative and fun. They also include afternoon excursions and a walk through an olive grove where you will learn more about the ancient art of making olive oil.